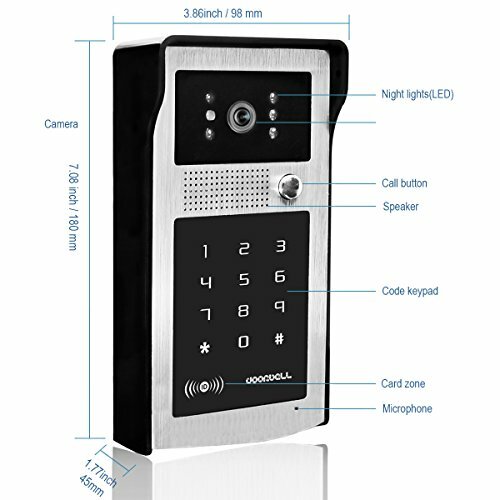 OUTDOOR IR CAMERA --- 92 degree viewing angle,durable aluminum and acrylic front panel with touch password keypad,ID card unlocking option. 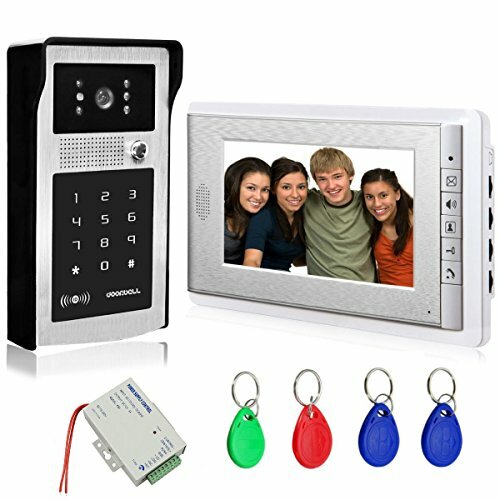 waterproofing, IR night version clear images no matter the weather or time of day/night. 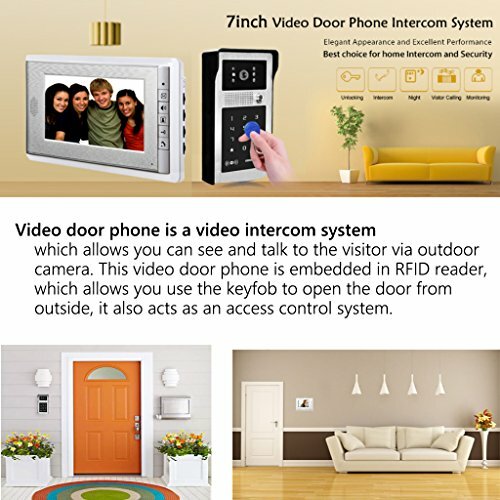 FURTHER SECURITY AND CONVENIENCE --- Wired connection stability clear vision for home security,which makes you kown the outside world staying in the house. 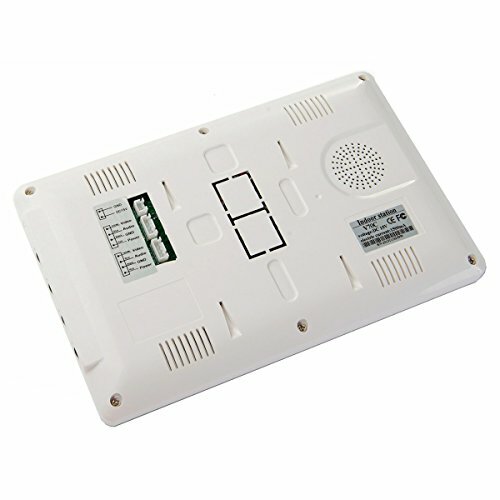 can be used in apartments, villas, hotels, offices, public buildings. 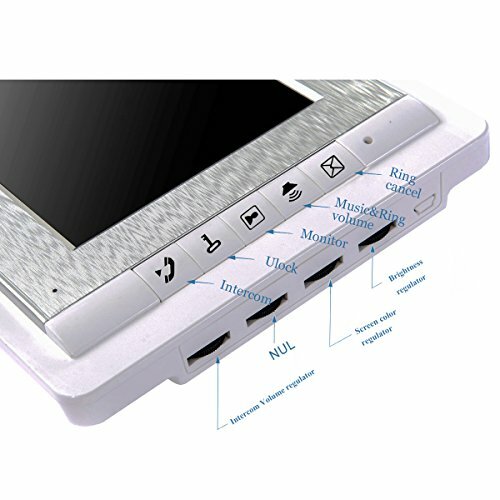 wonderful appearance is unique in the market, it can decorate your house, office, company etc. 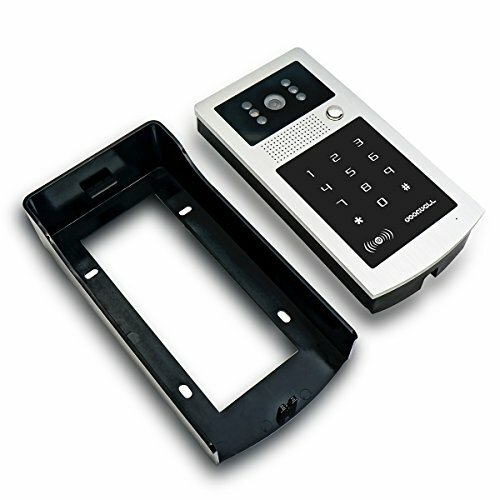 This video intercom door phone system includes 1- outdoor color camera, 1 -color LCD 7 inch screen.This video doorbell set has fashionable and beautiful appearance, touchpad buttons design, dual intercom communications, IR Night Vision Function and Many ways to electric lock release.The outdoor camera provides a 92-degree viewing angle, durable aluminum and Acrylic front panel to protect against potential vandalism. 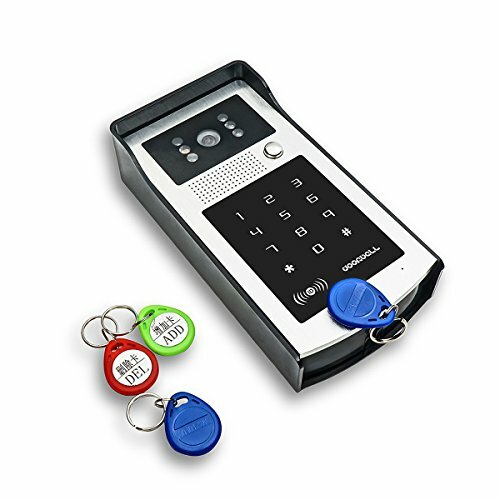 touch-sensitive control password panel with ID keyfobs lock release. 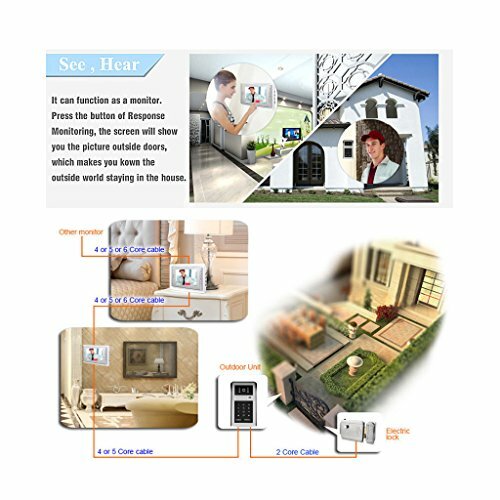 What's more, waterproofing and IR LED projection provides both durability and clear images no matter the weather or time of day/night.The indoor Monitor provides brightness of screen, color of screen, volume and music setting,Easy Surface mounting, Support long distance connection with rvv4 wire or cat-5 wire, the effect is clear and stable.When someone press the call button on outdoor unit, it will active the indoor monitor, monitor will turn on, ring and show the video outside. 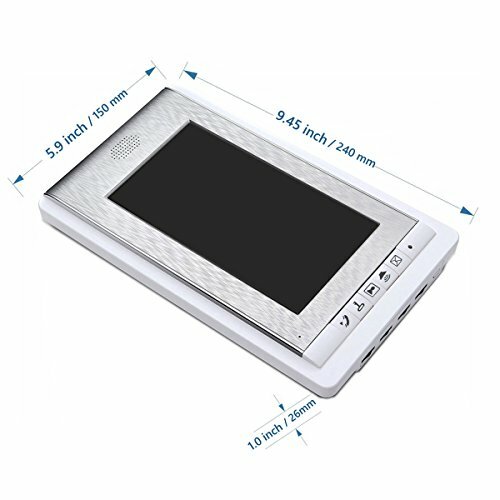 1 x Indoor 7-Inch color monitor (With a mounting bracket). 1 x Outdoor camera with rain cover. 1 x 4-Core connection cable. 1 x 2-Core connection cable. 4 x 125KHz RFID Cards.